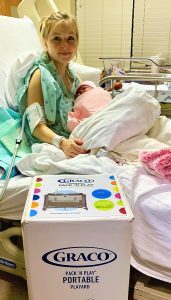 Thanks to a $2,500 grant from the Junior League of Beaumont, the CHRISTUS Southeast Texas Foundation was able to team up with the CHRISTUS Southeast Texas St. Elizabeth Outpatient Lactation Clinic to provide Pack ‘n Plays (portable cribs) for the Safe Sleep Program. The Safe Sleep Program encompasses varying levels of education and prevention, and the Pack ‘n Plays are a very big piece of this potentially life-saving program. The Pack ‘n Plays will encourage safe sleep by keeping babies in the portable cribs and out of the parents’ beds. 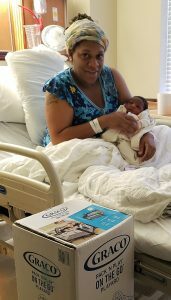 We have already started to distribute the Pack ‘n Plays, and our recipient families have been so grateful. Thank you to the Junior League of Beaumont for helping our Southeast Texas families.